The potential for artificial intelligence (AI) and the Internet of Things (IoT) to transform the way health care and therapies are delivered is tremendous. It’s not surprising that the health care and life sciences industries are being flooded with information about how these new technologies will change everything. While it’s exciting to think about possibilities, I would prefer to focus on results. 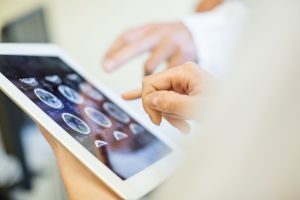 How are advanced analytics, AI and IoT technologies currently being used to improve patient outcomes, increase efficiency and reduce costs? Last fall, SAS launched an ongoing webinar series that explores those questions and how data and analytics are driving innovation and evolution in the health and life sciences industries. From faster, more efficient clinical trials to the population health study of the future to data-driven decision making, the series illuminates the latest breakthroughs, breaks down myths and shares repeatable use cases. Knowledge sharing is critical to the evolution of global health care. When we can share successes and lessons learned in applying analytics to solve complex problems, we advance health care and life sciences everywhere. This year, we’ll be following stories about the big and small ways analytics is driving transformation in our industries. In the meantime, check out the on-demand webinars from The Impact Series: Bringing AI to Life in Health and Life Sciences.